60 LED lights. Waterproof. Requires three double A batteries that are not included. 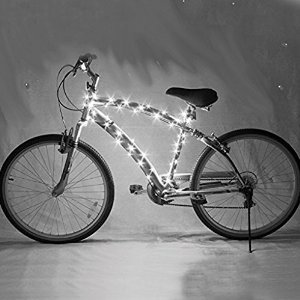 There will be no darkness with these on your bike!